The Prestige Medical Portable Basic Pulse Oximeter - item #456-BLK, #456-PNK, #456-PUR, #456-CGY, #456-NAV, item #OX456BLK, OX456PNK, OX456PUR, #OX456CGY, #OX456NAV is a sleek, discreet and lightweight portable pulse oximeter constructed of the highest quality medical-professional-grade materials. Intuitively designed, this pulse oximeter's ease of operation makes it ideal for use at home, travelling, for physician’s offices, school nurses and other medical professionals or anywhere life takes you. 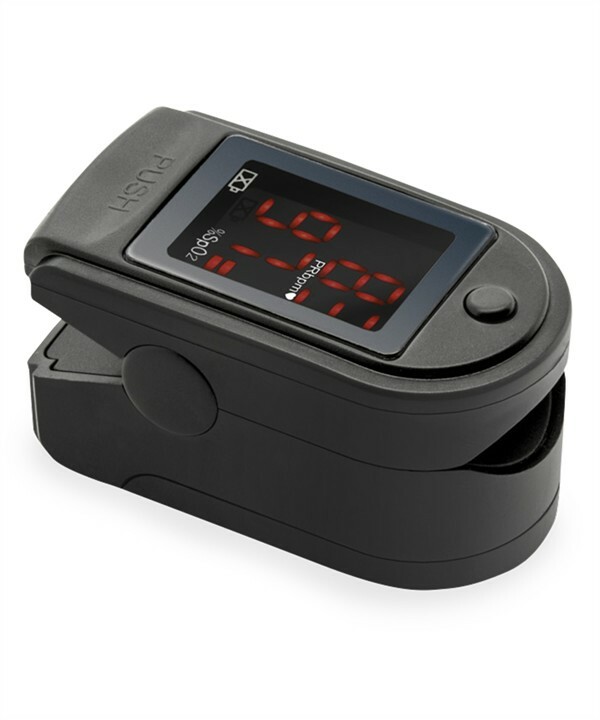 The Prestige Medical Portable Basic Pulse Oximeter - item #456-BLK, #456-PNK, #456-PUR, #456-CGY, #456-NAV, item #OX456BLK, OX456PNK, OX456PUR, #OX456CGY, #OX456NAV can be used by both children and adults delivering fast and accurate measurement of patient Sp02% (oxygen saturation) and pulse rate. 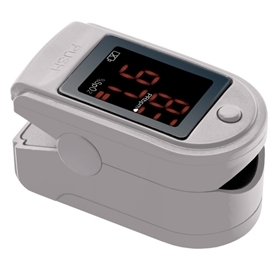 Featuring a LED display screen, simple one-button operation, auto power-off for low power consumption and up to thirty hours of continuous use, The Prestige Medical Portable Basic Pulse Oximeter - item #456-BLK, #456-PNK, #456-PUR, #456-CGY, #456-NAV, item #OX456BLK, OX456PNK, OX456PUR, #OX456CGY, #OX456NAV comes with two AAA batteries and a soft silicone protective case and lanyard. 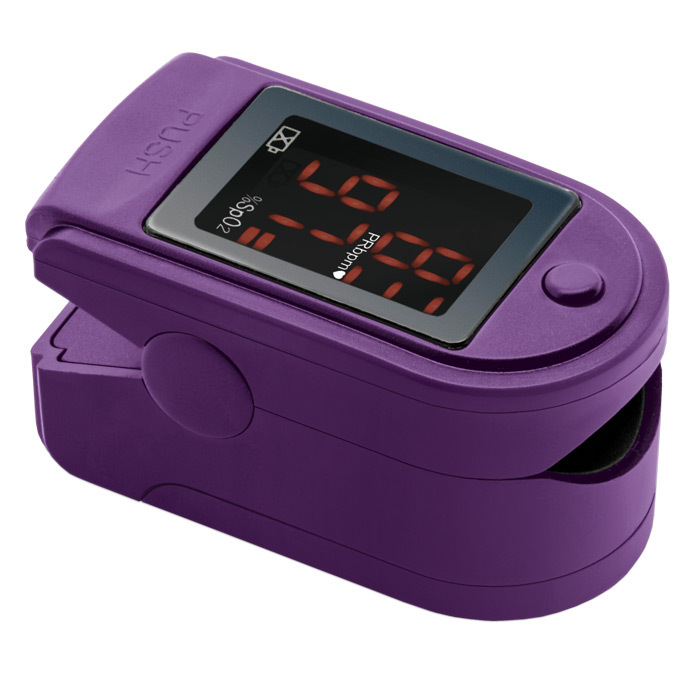 Basic pulse oximeter in five brilliant colors: Black, Purple, Pink, Grey and Navy (not pictured).